100-Piece Sewing Kit Just $8! Down From $27! You are here: Home / Great Deals / Amazon Deals / 100-Piece Sewing Kit Just $8! Down From $27! Hurry to Amazon to score this 100-Piece Sewing Kit for just $8 down from $26.99 PLUS FREE shipping with Amazon Prime or for orders $25 or more! 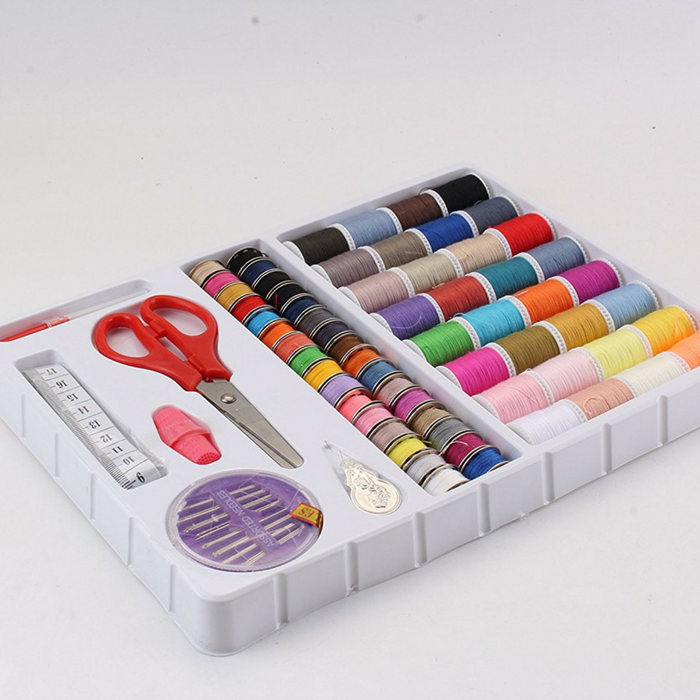 Leave no sleeve unthreaded with Lil’ Sew and Sew’s 100-Piece Sewing Kit. It includes 32 spools and 32 bobbins, all in multiple colors. There are also 32 needles, measuring tape, and a small pair of scissors. And as if that weren’t enough, the kit comes with a red thimble, a silver threader and a blue seam ripper.